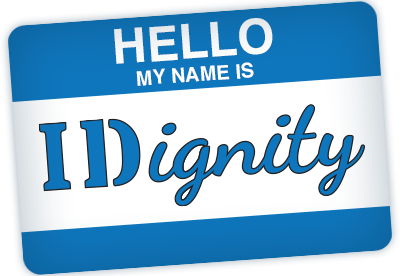 Founded in 2008 by members of five downtown Orlando churches, IDignity was created to assist the disadvantaged in Central Florida to navigate the complexities of obtaining their personal identification. This group of members from The Cathedral Church of Saint Luke, First Presbyterian Church of Orlando, First United Methodist Church of Orlando, St. James Cathedral, and Trinity Lutheran Church developed a viable solution after meeting for a six-month period of exhaustive research and interviews. A significant part of this solution was to expand the process that was developed at Project Homeless Connect (PHC), an annual service fair that utilized various agencies working together symbiotically. The overwhelming demand for these services at Project Homeless Connect events showed that more needed to be done, and since May 2008, IDignity has hosted monthly events in downtown Orlando. Each event provides service to 200–250 clients who are individually welcomed to the event and treated with respect and compassion throughout the process.